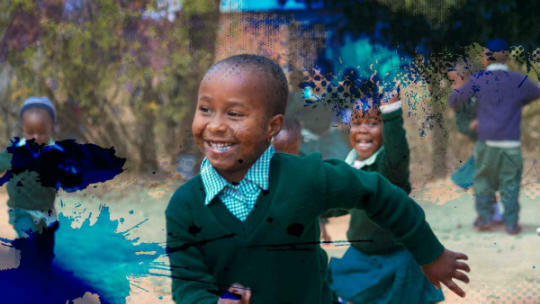 Children care development organization (CCDO) is a non-governmental organization gears towards changing the community through care, respects and love, need for making the child come out of hopelessness by creating a conducive environment towards meaningful and progressive life. 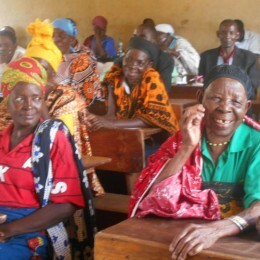 The CCDO was started on 13th October 2010 at Mkimbizi area. The main aim of this organization was taking care to orphans, children living in a difficult environment and girls who have lost hope because of early pregnancy. 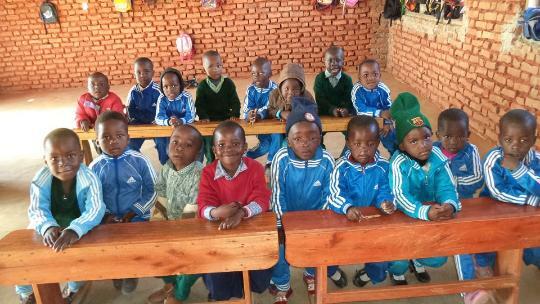 At the beginning we have started with caring of orphans, in 2015 we had 6 orphans (2 boys and 4 girls) we started by giving then a preliminary education that is nursery school. By the time we are having 105 orphans (43 boys and 62 girls). Dear guest of honor we thank you and your team of WATER FOR AFRICA for helping us to get a well because Nduli area has a big problem of getting water especially during a dry season. 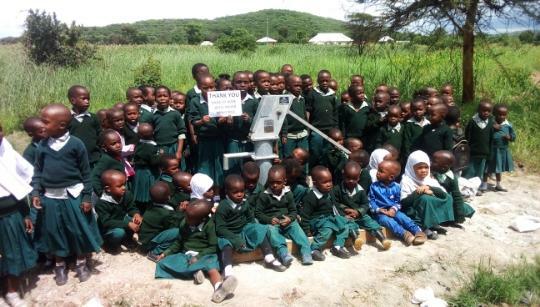 The government through Iringa Rural and Urban Water Sanitation (IRUWASA) does not supply enough water to meet the needs of water to the people of Nduli area. 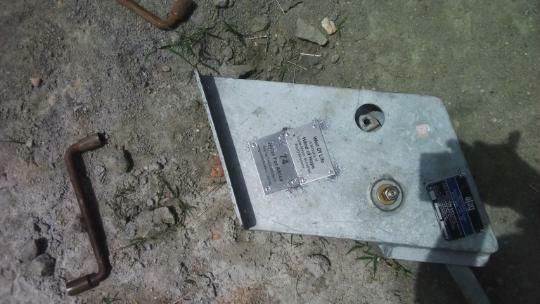 Therefore this well will help our school and the community around us, for that we say thank you very much may GOD bless you on that. On the side of girls and children living in difficult environment we gave them information and communication technology (ICT) and Tailoring skill. A program which has stopped due to the scarcity of money to pay to the instructors. Firstly, transportation of children from their home to our school. We have a school bus capable of carrying 35 pupils at a time, this make us to have more than two routes of carrying children to school, this means we need to have a digger school bus than that we have now at least that will be capable of carrying 65 pupils at a time which will make us have one route to school and it will make us start lessons at a right time. Secondly, we have a scarcity of buildings for our common use, for example we don’t have a dining hall for children to use when they are eating, by this time they either use their classes because it is a rainy season otherwise they just stay outside. 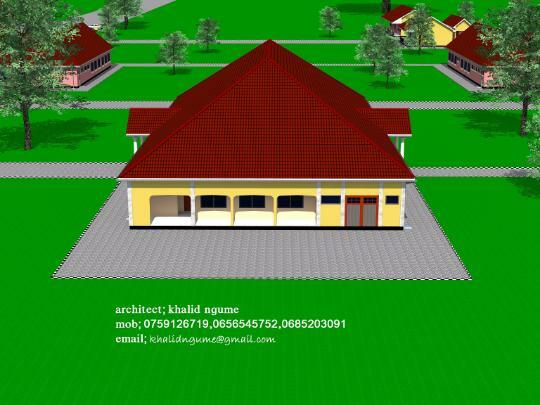 But also we don’t have a favorable kitchen building with all its accessories and also we don’t have a workshop, we have accessories but we don’t have a suitable place for training, if we could have a workshop it could be better. In order to manage this dear guest of honor we need sponsorship, so we kindly beg you to be our sponsor so as to make things go smoothly. And we beg you if you can help us in getting volunteers teachers and trainers who will help us in teaching and training in our center. Dear guest of honor we have started building a new building for our school. Would you please go and lay a foundation stone so as to encourage us in our work and make us remember you whenever we read the foundation stone. Let us thanks almighty God for making us alive and making us meet with you. Thank you very much for listening us. 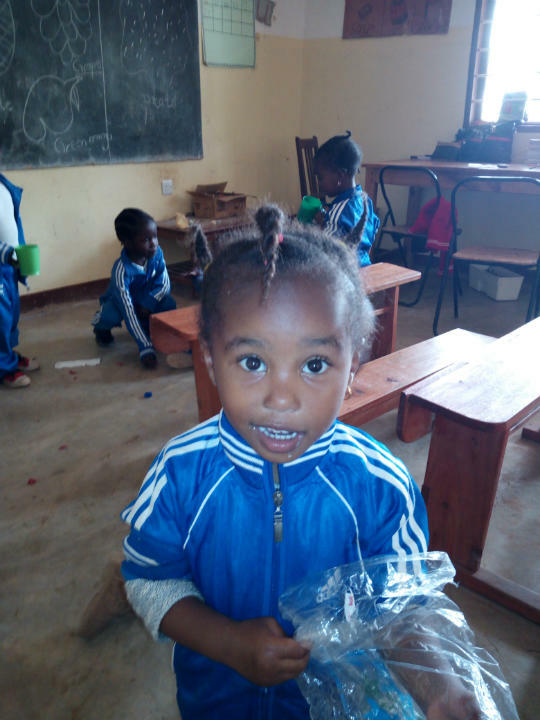 Children Care Development Organization (CCDO) is a not-profit organization located at Nduli village within Iringa District of Iringa Region in Tanzania. CCDO it works to improve the living standards of needy orphans aged from 1 – 17 years old irrespectively their gender, races and nationality. 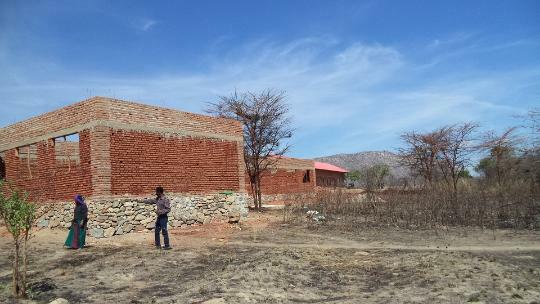 We have constructed our orphanage pre and primary school at Nduli village under our own local initiatives, but our orphanage school lacks clean water and toilets holes. A daily challenge for orphans at CCDO Orphanage Home and School in Iringa is scarcity of clean water. Lack of potable water is at the root of many community problems, including spread of disease, school absenteeism, and lack of time for income generating activities. 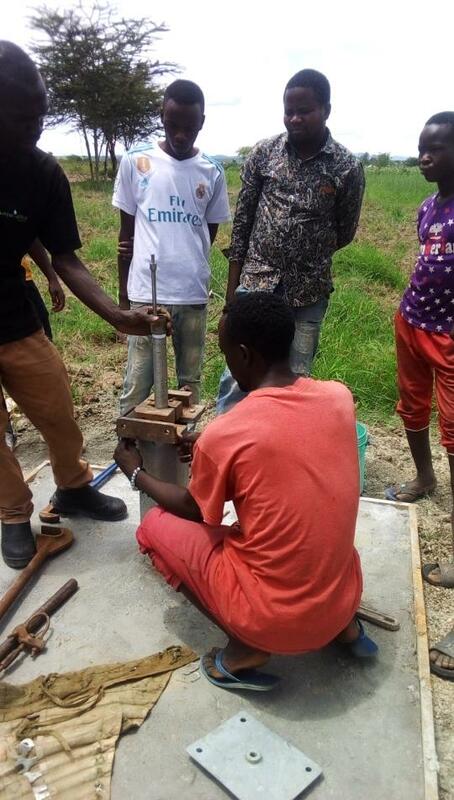 To combat these problems, the WASH (Water and Sanitation Hygiene) Program works in conjunction with the CCDO Orphanage Home and School to drill 1 (one) water well and implement water harvesting tanks for pre and primary school. We are very happy to announce that we have already received another shipment donated books titled “Happy Go Lucky: The Castle of Courage” from the generous Dr. Gordon DiPaolo, Professor of Management of The College of Staten Island School of Business and his wife Lorraine for their generous donation. We thank Dr. Michael Provitera and Janeth Provitera who is the author of this book and for their contribution and kindly donation to our CCDO Orphanage School development. We thank Professor Michael Provitera to connect us with the humanitarian givers to our Centre like Dr.Gordon DiPaolo, Professor of Management of The College of Staten Island School of Business and his wife Lorraine for their generous donation to us. 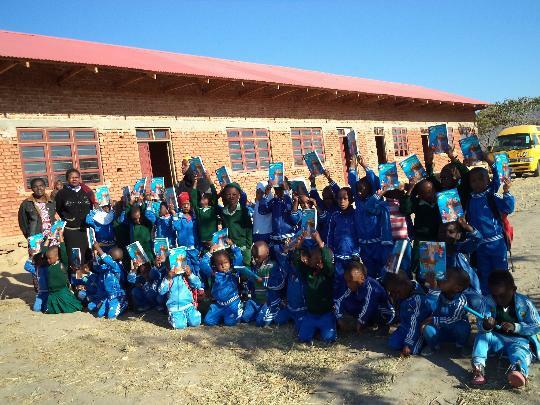 The donated books was given to all our school orphans while a few copies was stored at our Dr. Michael Provitera Library, the constructed Library is beneficially to all our school and out of school children including our surrounding community of children for their employability skills growth. 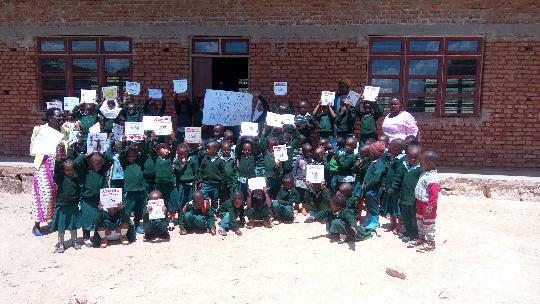 Therefore, we request you to join with us to fund our Books Shipment Project for educating African children who are considered as vulnerable. With your gifts and your help rallying support, we can educate and provide quality education to our misery children in Africa. Your gift can be in terms of books, money, laptops, and volunteerism to come to work with us. The donated money will help us to purchase 150 iron which is needed to roofing our additional 4 classrooms. 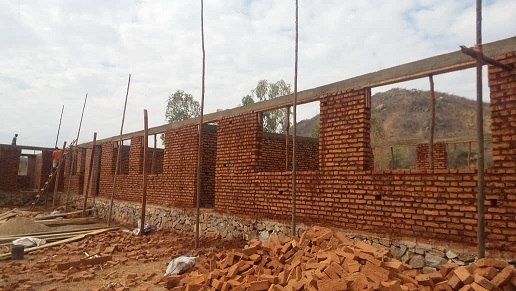 We have constructed our additional 4 classrooms and teachers office but we are lacking only 150 iron sheet and 200 bags of cement for plastering our building as the below photo of our building expressing itself to you. 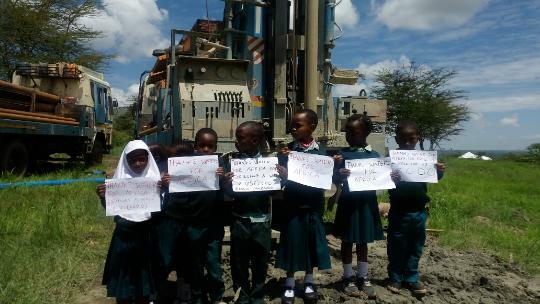 Your little money that you will donate to us will be used to drill 1 water well for our school children. This is because; our children suffer needlessly - walking miles for dirty water that makes them sick. You and I can change that. Please make a donation and then help us spread the word. 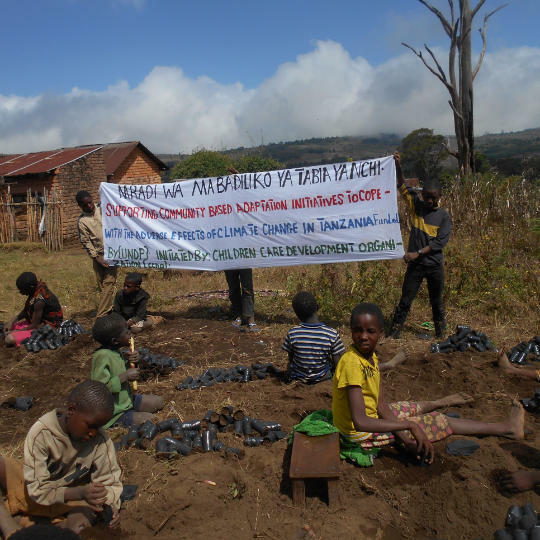 Volunteer at Children Care Development Organization (CCDO) in Tanzania / East Africa. Children Care Development Organization (CCDO) in Tanzania opportunities are available for international volunteers in orphanages, schools, vocational training (tailoring, carpentry, ICT, art crafts and culture, metal works, motor mechanics and garage, water ,sanitation and hygiene (WASH), farm fishing and climate change education, welding and community garden landscapes. We work directly with the projects where we invite you to stay with us depending on your life interest and where your contribution will make a real and meaningful difference. You will be offered a personal and customisable placement service. You will be supported throughout the duration of your placement. We use our local knowledge and spend time in the community meeting your requirements, including working amongst the Masai. You will work with HIV/AIDS orphans, many of whom are HIV positive. Others have been abandoned after birth. 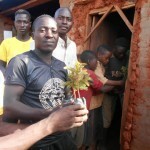 We have orphanage projects in Njombe Region at Makete rural district for tree planting and vocational training projects along Kitulo National Park while also we have other activities in Iringa Region at Iringa Municipality where you can several times to Ruaha National Park where it takes almost 45 minutes to see our wonderful blessed animals and the biodiversity of Ruaha Landscapes. Orphans in Tanzania orphanages and Children’s homes are extremely disadvantaged and encounter a lot of hardships in their life. They are deprived of many opportunities necessary for their development. The children in our place orphanage projects have never experienced loving, caring and stable relationships. As an orphanage volunteer, you will help vulnerable children. The children will receive much needed attention, compassion, hope, encouragement, support and love from you. Through the education and compassion they receive from you, the children are empowered to challenge life, poverty and exploitation. CCDO placements or voluntary work with disadvantaged children is very fulfilling. Volunteering in orphanages in Kenya will be one of the most challenging positive, life-changing, and rewarding experiences of your life. Volunteers also provide emotional support and foster compassion for people living with HIV/Aids in the community. Volunteers educate and counsel the community, schools and individuals. 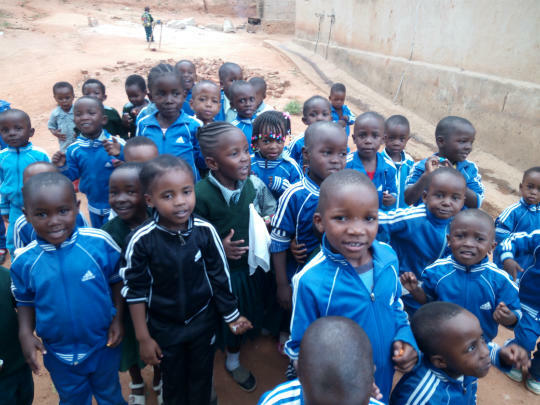 AIDS orphans are often neglected in Africa. As a volunteer in this program, you will visit HIV/Aids clinics, and help meet the needs of AIDS orphans. Volunteer opportunities are available amongst the Masai tribe of Tanzania. The volunteer jobs are close to the Masai Ruaha National Park, Isimani, Ilambilole, Iringa Municipality of Iringa Region in Tanzania. 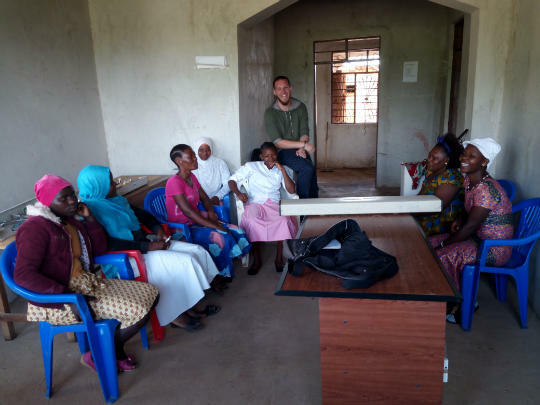 Volunteers work in a rescue centre which accommodates Masai women and Masai girls rescued from forced marriages and those rescued from forced Female Genital Mutilation (FGM) practices. 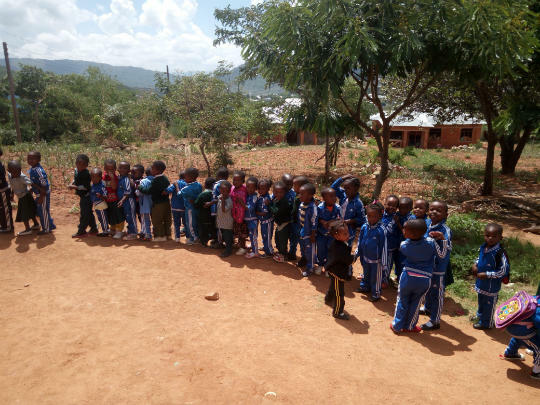 Other volunteer work available includes teaching at CCDO Pre and Primary School and Professional Development Center located at Nduli village within Iringa Municipality of Iringa Region in Tanzania. Volunteers on the teaching program in Tanzania assist with the teaching of different subjects in Tanzanian elementary and high schools. Our volunteers work in schools with students who come from very difficult economic circumstances or are orphans. Please note that Tanzanian school holidays are in Easter holiday, June and December. No school teaching will be available during that period. You can volunteer for any duration and stay as long as you wish. You can arrive at any time during the month and the volunteer work starts the following day. You will typically work between 9am - 4pm Monday to Friday. Your will spend your spare time shopping, eating out, cinemas, chatting with other volunteers or swimming. The volunteer at CCDO program fee covers communication, airport pick up, local support, in-country orientation, training, supervision, accommodation and two meals per day (three meals over the weekends if you are at the provided accommodation). The volunteer at CCDO costs you need to meet are: your flight to and from the country, visa fees, work permits, vaccinations, travel insurance, in-country transport and return trip to the airport. 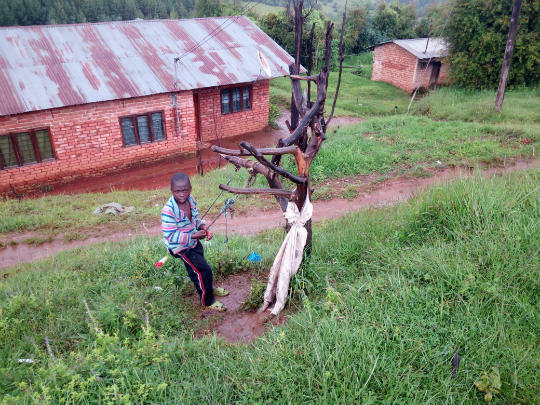 Welcome to the poverty land, where children play with bycicle tyres, empty water bottles, swings made from „who knows what“ strapped to a burnt tree near a cliff (see picture). Where joung mothers aged, mostly, from 15-20 brestfeed their babies on every possible place because they bring them to work, to the fields in the bus, so you have a feeling babies are working too. A place where, if your parents dont die of AIDS, abandon you like an orphan for one of volunteering institutions to take care of you if that is possible. A place where goverment is too busy to stop a tresspasser from Uganda with cattle not to eat the grass from Tanzania (simple villager who does not know anything about the borders, maybe raised by the same cattle he is now trying to feed) and put it on the news rather than build a normal schools for its people – this again falls on volunteering organisations to manage and achieve if possible. Anyway, not to get to deppressed by my own vision of the place, there is a very beautiful thing here- as mentioned before, children. Orphans, poor, dirty or hungry they remain so natural, happy, childish and alive. Real fighters, used to the not having anything and making the most of everything they have. I LOVE them! Us at CCDO, right now we are not may but we work our asses off, help as many of those children, families and people as possible. Since I am a little bit new I saw one more program for orphans at Makete district. They have it really bad (see pictures) but thanks to the help of some donors they will receive some books and 2-3 laptops to help them organize. The „school“ is very small, dirty and almost to fall apart and so are the children. We urge you if you are willing, actually me myself - I am writing this without CCDO director consent, to help these children any way you can. My family sent to buy footballs, basketballs, hulahoops (how ever you write this I am not Englishman) , candy, some paint and books. CCDO has many children under its roof, mostly orphans. 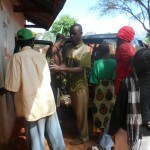 All of them are being gathered throught the Iringa town with a one bus and a volunteer driver. Once they are gathered they go to a small house where two great, teachers (volunteers), teach them basic things about mathematics, english and other. I have been there also and I must say that my heart grew a couple of sizes (like Grinch J ) just by looking at them and their joy of this world. beautiful eyes laughter but even some cries can make your day a couple of times better – You should try it! It is a hard job keeping 60-70 small children aged from 3 to 6 under control but teachers are doing that tough job like a professionals. Hi, I am Mario Rusek a new volunteer for CCDO. First of all I would like to say „thank you“ to good, no – not good, but great and beutiful people I met in CCDO who welcomed me and my helpful spirit. I will write, for now, only about one specific project - vocational training of young people, mostly girls, at Nduli – Iringa. When I first came to Nduli I could see only a couple of houses there, so my expectations were not high at that moment. The school is a newly built house without the windows but two very happy girls inside who live there, study there and keep the „school“ clean. 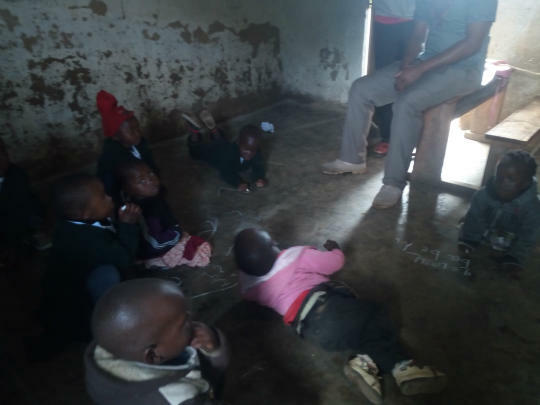 I was given a classroom with 12 students who were eager to start the English course, wich I gave , and to see a young mzungu (I belive that by now you all know that mzungu means a white man). One word about me again – I am not a professional teacher! But I managed that job like a professional as one of the project coordinators noticed. It has been one month now and I belive that the students are learning some practical English language. I feel very proud already of them and of myself. My advice would be to try volunteering. Sometimes you can teach but every time you will learn. No money can be compared to the gained knowledge . 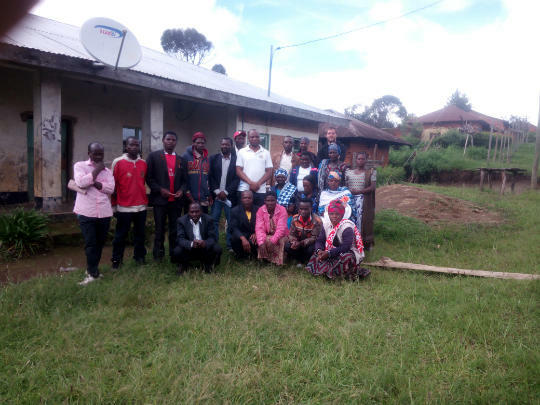 SUCCESS STORIES FROM THE FUNDED PROJECT OF SUPPORTING COMMUNITY BASED ADAPTATION INITIATIVEWS TO COPE WITH THE ADVERSE EFFECTS OF CLIMATE CHANGE IN THREE DIVISIONS OF PAWAGA, KALENGA AND ISIMANI IN IRINGA RURAL DISTRICT OF IRINGA REGION OF TANZANIA/ EAS AFRICA. On behalf of the Children Care Development Organization (CCDO) management, we are very happy indeed with the supported fund from the United Nations Development Programmes (UNDP) which helped us a lot to reach the entire communities of 21 villages making MBOMIPA (Matumizi Bora ya Maliasili Idodi na Pawaga) which are Mapogolo, Tungamalenga, Kitisi,Idodi, Magombwe, Kisango,Isele, Kinyika, Malinzanga, Mahuninga, Makifu, Mafuruto, Luganga, Ilolompya,Itunundu,Mbolimboli,Nyamahana, Magozi, Mkombilenga,Kimande and Mbuyuni villages) Wildlife Management Areas (WMAs) of Ruaha landscapes in Iringa District of Iringa Region. The funded fund helped us to train our local communities by introducing a new technology of system of rice intensification (SRI) which helps them to cope with the climate change adaptation and mitigation for climate change, since the SRI is a way of harmonizing the elements of soil-water-plant-sunlight to allow the plant to achieve its fullest potential of production, often hidden when inappropriate techniques are used. In practical terms, it’s a method of producing rice using fewer seeds, less water and fertilizer, cost-saving labor practices, and well-aerated soil rich in organic material. In sum, SRI is achieving more with less. 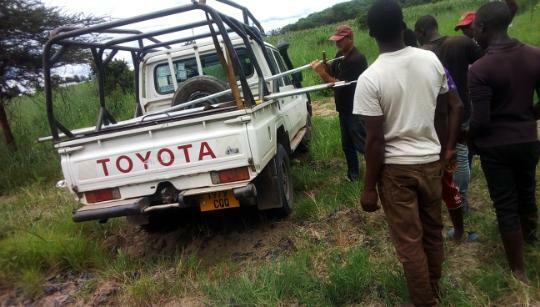 This is because, CCDO understands that enhancing water availability through adaptation technologies for sustainable water use along Great Ruaha River and management is therefore a key strategy for increasing agricultural productivity and securing food security along Pawaga, Kalenga, Isimani and Idodi divisions which are highly affected more by the shortages of rainfall and food availability. The area is also affected by drought. SRI reduces the demand for water in agricultural production and also the use of agrochemical inputs, it has begin environmental impacts. By raising the agronomic and economic productivity of land, labour, water and capital all at the same time, it enables farmers to produce more with less, by mobilizing the services and benefits of soil biota. While not exactly a ‘free lunch’ (see listing of costs and constraints below), it points the way to greater sustainability of agricultural production in general, and of production intensification. Producing more outputs with less inputs is unique and uniquely appropriate for sustainability. 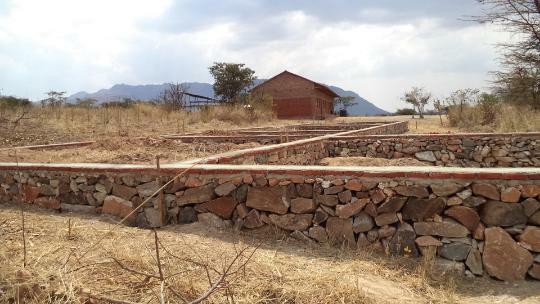 However, others actors like the WCS (Wildlife Conservation Society), SPANEST Project and Iringa District Council are sceptical about SRI and whether it is relevant at all to farmers in all districts of Iringa Region who do not have the capacity to adopt such technologies. The reason for this scepticism is related to the additional labour needed to practice SRI and the poor conditions of the irrigation schemes. Again, WCS agrees with the principle that intermittent flooding is a good practice for irrigated land. CCDO project was worked with the entire rice value chain in along MBOMIPA WMAs, is of the view that besides factors related to production, warehousing, credit and marketing should also be taken into consideration in order to improve overall rice production in the MBOMIPA WMAs so as to discourage water sources destruction around Great Ruaha River and other related wildlife trafficking, poaching elephant ivory, deforestation and bad behavior of allocating their human faeces to water sources areas. (i) SRI as adaptation measures to climate change: The system of rice intensification is considered to be a suitable rice cultivation methodology to adapt to the changing climate as it requires less water compared to the conventional paddy rice system. According to Jain et al., (2013) a water saving of 36 % was observed with SRI, and SRI increased the water productivity by 45 % compared to conventional flooded transplanted rice. Other studies also show that SRI can lower irrigation water consumption by 25 % and in some cases reduce fuel consumption used for pumping water by almost 30 litre per hectare (Siopongco et al., 2013). For example, in Kenya, the average yield under SRI management increased by 1.6 t/ha (33 %), seed requirements reduced by 87 % and water savings increased by 28 %. SRI required 30 % more labour for weeding than flooded rice in the first season, but this was reduced to 15 % in the second season when push weeders were made available to farmers. The results showed that SRI gave a benefit–cost ratio of 1.76 and 1.88 in the first and second seasons, respectively, compared to 1.3 and 1.35 for flooded paddy. Moreover, the results indicated that SRI practices of planting younger seedlings, with wider spacing and intermittent irrigation, leads to increased rice yields with a concomitant rise in the income accruing to farmers (Ndiiri et al., 2013). In Gambia, SRI management practices with recommended fertilizer application produced a grain yield of 7.6 ton/ha. Computation of production costs showed that SRI production (not needing heavy application of fertilizer) was cost effective (Ceesay, 2011). Therefore, one of the reasons for practicing flooding as in paddy rice production is to control weeds. In the Sahel, a study has shown that an average of 27 % (ranging from 18 to 46 %) less water was applied to SRI than required for continuous flooding in RMP, resulting in consistently higher water productivity under SRI. However, when in Gambia, SRI management practices with recommended fertilizer application produced a grain yield of 7.6 ton/ha. Computation of production costs showed that SRI production (not needing heavy application of fertilizer) was cost effective (Ceesay, 2011). (ii) SRI as mitigation measures to climate change: One of the benefits of SRI is mitigating methane emissions. This is because continuous flooding is prohibited in SRI and fields are instead irrigated through alternate wetting and drying (Uprety et al., 2012). Methanogenic bacteria that thrive well in paddy rice fields, produce methane anaerobically. Flooded rice fields are the second largest anthropogenic source of methane emissions after ruminant livestock. SRI can reduce methane emissions by up to 50 % owing to the periodic aeration of soil that inhibits methane-producing bacteria. In the revised IPCC methodology (IPCC, 2006), “multiple aeration,” to which SRI corresponds, is presumed to reduce methane emissions by 48 % compared with continuous flooding of rice fields (FAO, 2010). Other studies showed that SRI technology could reduce methane production by approximately 60 % (Uprety et al., 2012). On the other hand, N2O emissions could increase under water saving techniques (like SRI) because of increased nitrification and denitrification processes, with soil conditions constantly changing between anaerobic and aerobic and related changes in redox potentials (Zheng-Qin et al, 2007; Sharma et al., 2008). Jain et al. (2013) have reported a higher (23 %) N2O emission from SRI than from paddy rice. However, data on N2O emissions from irrigated rice under different water management regimes are limited. There is a trade-off between adaptation and mitigation measures of CH4 and N2O emissions from rice soils. In other words, CSA practices like SRI/AWD that reduce CH4 emissions may increase emission of N2O from rice soils (Jain et al., 2013). Furthermore, SRI has often been a subject of discussion amongst the scientific community with regard to its potential to increase yield and reduce GHG emissions and climate change mitigation. For example, McDonald et al. (2008) reviewed different publications where SRI was compared to recommended management practice and found that SRI yields were not higher than under RMP. This publication has spurred considerable debate (McDonald et al., 2008; Uphoff et al., 2008). However, we find this discussion rather theoretical and not very relevant to the conditions in Tanzania, as most lowland rice is cultivated under poor management conditions. Any approach that will improve growth conditions will therefore increase yields. Furthermore, there is a great potential for increasing the production of rice in 21 MBOMIPA WMAs in Ruaha landscapes. Many of the constraints on rice production are similar for the other regions producing rice in Tanzania. Common problems are low quality of seeds, lack of access to inputs, poorly functioning irrigation schemes, poor soil fertility management, weed infestation, low yields and low technical capacity. When System of Rice Intensification (SRI) was compared to traditional rice cultivation more than a doubling of yield is often found. However, these yield increases in the ongoing schemes are not necessarily only attributable to the SRI principles, but rather because of improved management practices like improved seed and better fertilization and weed control. The current socio-economic conditions for intensifying rice are also not very favourable as there is limited access to credit, limited availability of fertilizer, fluctuating prices and poor market access. Major obstacles to SRI introduction are the poor condition of the irrigation schemes; lack of good quality seeds and fertilizers, hand-pushed rotary weeders, lack of technical capacity on SRI, lack of proper levelling of the fields, lack of assured marketing, and instability of rice prices. Since the major purpose of this training to the 21 MBOMIPA WMAs was to show that how rice can be produced differently. Like any other business, profit making underpins the rice growing activity. In other terms, it is about making the rice farming a business which generates substantial incomes, and the SRI has good prospects for the small farmers of Pawaga and Idodi who produce rice as their major cash and food crops for their livelihoods improvements, as it aims to improve their production and make them earn more money. One major reason given by farmers and other people who do not adopt the SRI is the great amount of work it requires. Any change demands a lot of work and more efforts arising from the more attention and arrangements involved. In any case, the SRI requirements are not to be seen only in terms of physical investments but also a behaviour change towards. Farmers should, in the long term, consider that SRI requires less work but will make you richer. While the issue of rice growing techniques ( land preparation –preparation of soil, ploughing, watering and putting to mud the plot, leveling of the plot, applying organic fertilizer, transplanting of the seedlings, irrigation; setting up the nursery- preparation of the seedbed, preparation of seeds, sowing, watering the nursery, fertilization ,and rotary weeding was well addressed to the communities. The major reasons of introducing the systems of rice intensification as an agenda of supporting community based adaptation initiatives to cope with the adverse effects of climate change in 21 MBOMIPA WMAs was due to the truth that Kilimo Kwanza (Agriculture first) is an important policy document of the Ministry of Agriculture for the promotion of agriculture in Tanzania. The policy document focuses on the modernization of agriculture in Tanzania. One key issue is the creation of an enabling environment for investments in agriculture in Tanzania. Furthermore, Kilimo Kwanza focuses on improving the supply of good quality seeds and fertilisers. The plan identifies rice as one of the key crops for agricultural development. The National Food Reserve Agency will have a role in stabilizing prices of important agricultural commodities, and there is no particular policy to promote SRI in Tanzania, but in general, there is a positive opinion about SRI in the Ministry of Agriculture. Despite the advantages associated with SRI, there are challenges related to technological, institutional, and financial and policy issues. 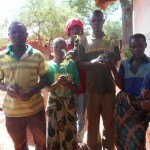 Nearly 90 % of the farmers in Tanzania are smallholders and produce for own household consumption. 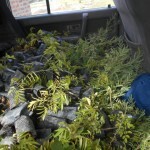 One of the challenges is to transplant young seedlings in 25x25 cm grids within 20 minutes after uprooting. In a situation where the seedbed is distant from the rice field, it is sometimes a challenge for the seedlings to be transplanted within this short period. In addition, the seeds are vulnerable to rodents and other pests and therefore integrated pest management is necessary during the rice growing period. With respect to irrigation water requirement, SRI requires less water, but the water has to be available at regular intervals (every 5 to 7 days). SRI therefore requires complete control of irrigation which is not the case in most Tanzanian irrigation schemes (Katambara et al., 2013). 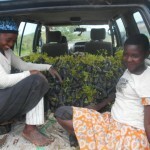 Another complication is that if water is not available when the seedlings are ready for transplanting (8-12 days after sowing), then farmers will have to wait. Another challenge is to organize the farmers within a particular irrigation scheme, and make them follow a uniform planting calendar; use of improved variety and use of proper fertilization Farmers attached to irrigation schemes will irrigate their rice when water is available. Introduction of SRI will be a challenge in cases of water shortage as the non-SRI farmers are likely to use most of the available water unless there are some agreements in the irrigation scheme. It is easier to introduce SRI if all the farmers in the scheme agree to practice intermittent flooding. Organic manure is not easily available because the animals are not stall-fed. Weeds appear to be a critical problem in rice production, and we observed traditional rice fields overgrown with weeds. 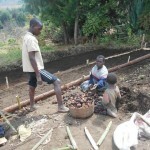 Weeding in the traditional fields is done by hand, but weeding is difficult because the plants are not planted in rows. Use of mechanical weeding is feasible if the rice is planted in rows. 1) Input supply- Most farmers do not have access to improved rice varieties and fertilizers. Farmers in some selected areas get two bags of fertilizer at a subsidized rate of 75 % (one bag of urea and one bag of DAP). This quantity is not sufficient for most farmers. They may need at least two bags of urea in the present conditions. 2) Poor conditions of irrigation schemes. 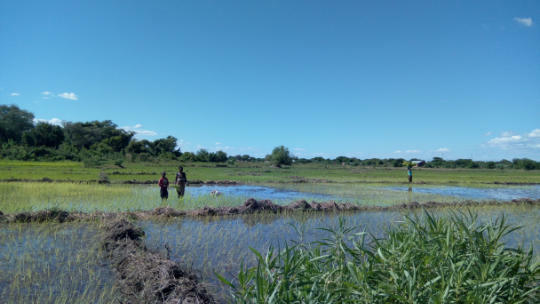 Most rice in 21 MBOMIPA WMAs is upland rice, and lowland rice under irrigation is grown under poor management condition. Water is not well regulated in the irrigation channels and the rice fields are not well levelled. 3) Lack of training on the various principles of SRI. Issues that was covered included land levelling, water management, nursery method, transplanting, fertilization and weeding. 4) Lack of organization skills amongst farmers within the irrigation schemes. 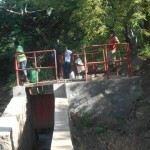 Key issues are agreements on water management, marketing of products and purchase of equipment. Conflict over water occurs in irrigation schemes. 5) Lack of credit support to smallholders in the WMAs is also a limiting factor in the rice value chain. The credit schemes are less interested in providing loans to the farmers this year because of the low rice prices. 7) Policy challenges/weak enforcement of policies and poor investments. It appears that implementation of polices is a greater challenge than the policy itself. In Tanzania there is a focus on private public partnership and there are examples where such partnerships are working (KPL). 8) Weak extension services. SRI is a knowledge intensive system, and it will be a challenge to upgrade the competence of the rice farmers across the country. The funded project by the UNDP contributed a lot to the promotion of appropriate technologies to mitigate climate change and such technologies included the development and transfer of conservation agriculture production systems for small-holder farmers through horticultural cover crops, environmental conservation education awareness creation, drip irrigation, fog harvesting, rainwater harvesting, soil management technology, conservation tillage technology, integrated nutrient management, sustainable crop management, ecological pest management, seed and grain storage, sustainable livestock management, sustainable farming systems, agro-forestry, capacity building and stakeholders organization through training community based agricultural extension agents that provide rural people with the access to knowledge and information they need to increase productivity and sustainability of their production systems and improve their quality of life and livelihoods, creating a space for public debate and institutional coordination, training rural extension agents, knowledge refresher courses, and technical support and evaluation, farmer field schools which looked to enforce the understanding of farmers about the ecological processes that affected the production of their crops and animals through conducting field learning exercises such as field observations, simple experiments and group analysis. The knowledge gained from these activities enabled participants to make their own locally-specific decisions about crop management practices. Since the CCDO manage to transfer wide experience and knowledge to all communities and also we trained trainers of facilitators of the farmer field schools in a range of skills and attitudes that were not part of their initial training. 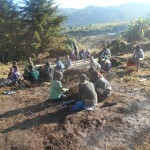 Extension personnel have typically been trained in technology transfer rather than adult education and participatory learning since farmer field schools require facilitators to have abilities in developing understanding of the participants of agro-ecological processes, but not through lecturing on these processes, but through facilitating the farmers in discovery exercises to find out and understand these processes. Subsequently management options are defined through the integration of local knowledge of the farmers and ecological knowledge gained thought the forest farmer schools. 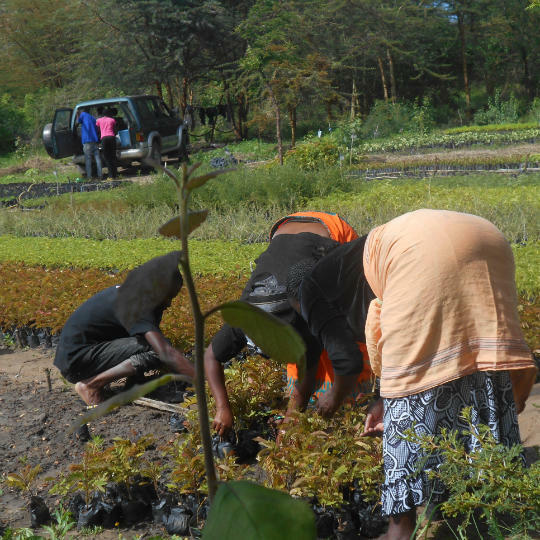 Likewise, the CCDO introduced the appropriate technologies to mitigate climate change around Isimani, Pawaga and Kalenga divisions through forest user groups formation because in many communities of Tanzania, forest governance has remained a centralized and top-down process. Policies ignore the role of forests in tribal livelihoods and cultures, violating the overlapping laws protecting the rights of these communities. Premises and procedures for identifying and defining forests are poor, resulting in land use conflicts, unclear boundaries, legal disputes and inappropriate management objectives for lands wrongly classified as “forest:. Forest User Groups (FUGs) represented one mechanism for decentralizing forest management and increasing community-based responsibility and authority. FUGs were based on the three principles of participation, collective action and long-term sustainability. 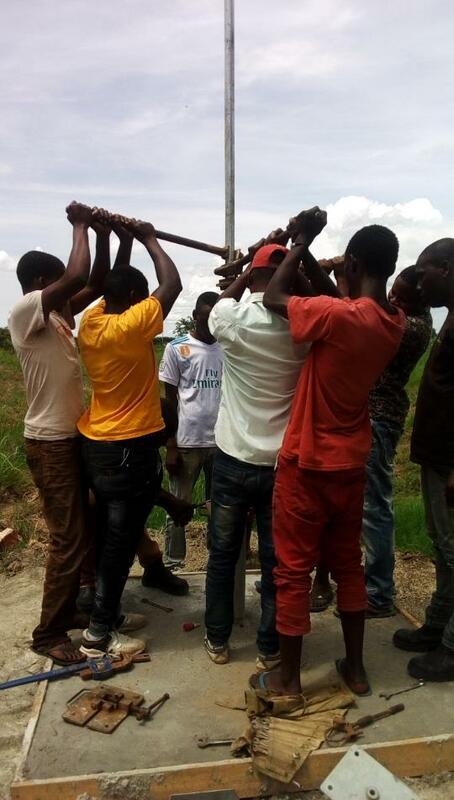 They were formed through democratic processes whereby local residents are elected as community representatives to work as an autonomous body alongside existing government authorities to manage forest resources and to articulate the needs and priorities of local people. FUG members was received training in resource management and participate in multi-stakeholder forest management mechanisms, developed land use plans in line with national forest laws and regulations in Which Ms Godliva Mvanda – Senior Environmental District Officer of Iringa District Council who helped a lot in assisting the succession of this project to achieve its desired objectives of strengthening the capacity of farmers and pastoralists in coping with the adverse effects of climate change and addressing drivers of deforestation and forest degradation through community-based interventions, and undertake forest patrols and awareness-raising with the aim of curbing illegal activities.